Will Televisions of the Future Be Smart or Dumb? Here’s an unexpected news item: LG Electronics has purchased webOS from Hewlett Packard. webOS was a potentially revolutionary operating system originally developed by Palm but largely ignored by Hewlett Packard even after spending $1.2 billion to acquire it. As part of the deal, LG is also taking over Open webOS, the open-source version of webOS that Hewlett Packard released but also mostly ignored. The open and transparent webOS technology offers a compelling user experience that, when combined with our own technology, will pave the way for future innovations using the latest Web technologies. The whole idea of “smart” televisions has always puzzled me. 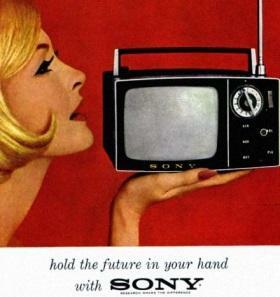 I can easily believe that televisions of the future will be more connected. Future televisions will undoubtedly provide ways to dock a smartphone, computer, or similar device for use as a display. I can also believe that installation and setup of televisions will become much simpler and connecting a television to another device (such as a DVD player) will become automatic. But I find it hard to believe people will choose to use their televisions as a primary device for accessing the internet. It’s impossible to predict the future but it seems to me that the real trend is actually the other way around: for televisions to become “dumb” and not much more advanced than computer monitors.